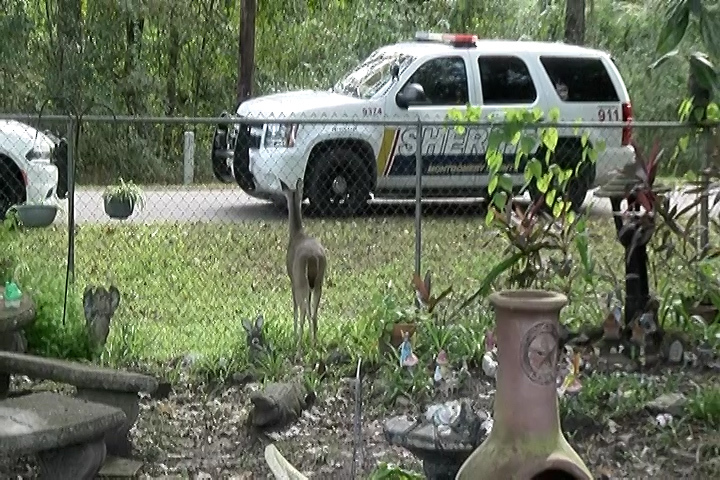 Friday afternoon Montgomery County Sheriff’s Office District 3 units were dispatched to a reported deer in a house in the Peach Creek Forest Subdivision off FM 1485. 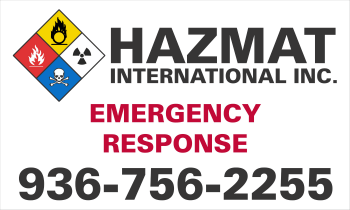 Units arrived on the scene to see a small doe exit the home. 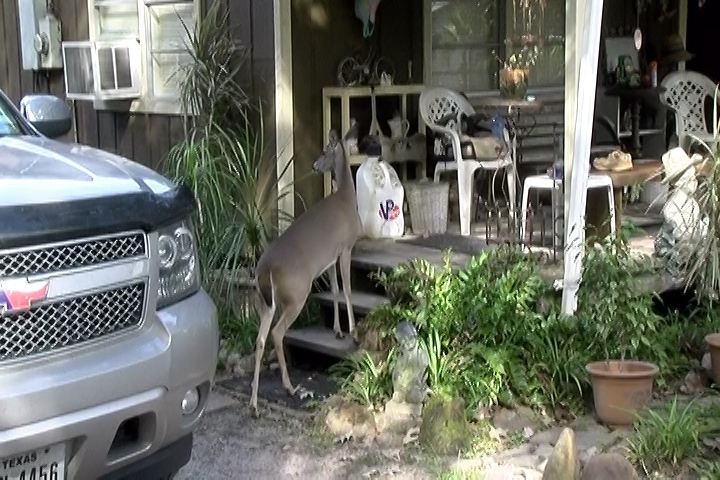 The homeowner, Cindy Callaway said that she had just backed into the driveway and was securing her 4-wheelers when the doe came up behind her and nudged her. Startled she screamed also scaring the deer. She then went into the house to her kitchen. 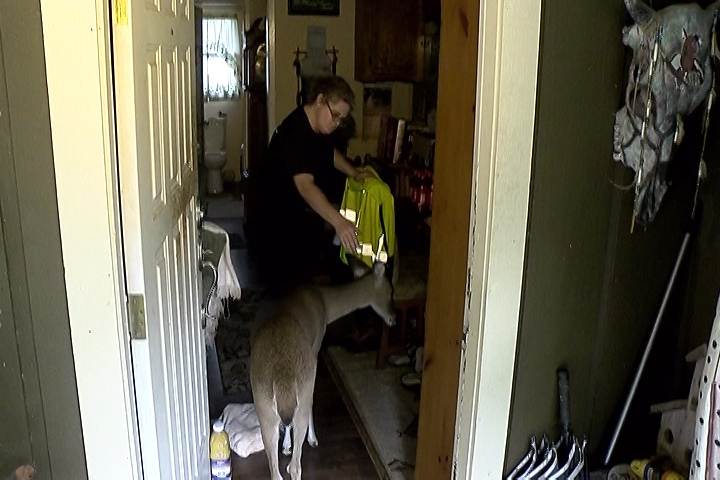 As she turned around the deer was standing at the kitchen table watching her. 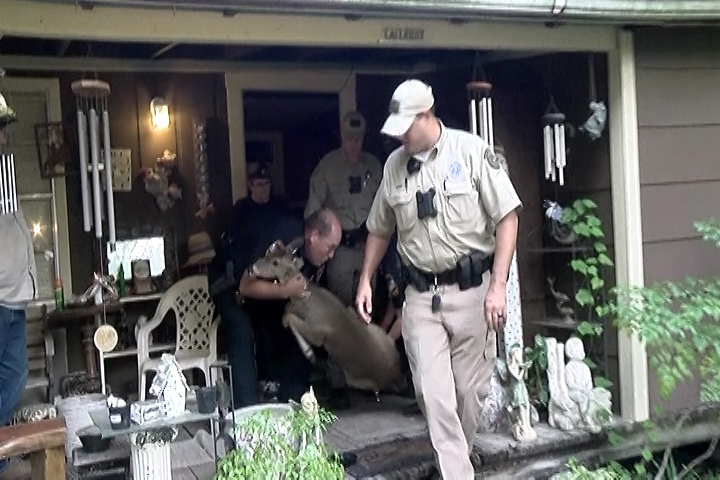 For the next several hour’s deputies worked in an attempt to find a place for the deer and decide how to do it. They did not want to just turn it outside the fence as it could end up in another yard, hit by a car or illegally hunted and end up in a freezer. 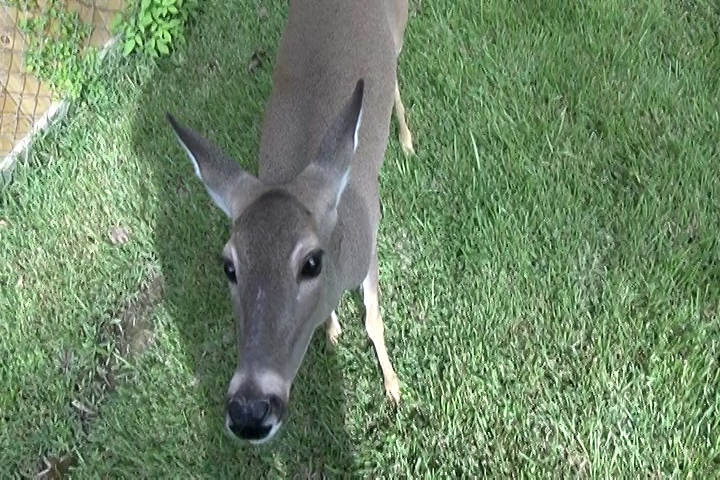 As they waited on the Montgomery County Livestock Officer and Texas Parks and Wildlife they were able to get many photos of the deer coming up to them. Several times it tried to enter the house again with Callaway. It was quite intrigued with an ash try on the front porch where it stripped every cigarette but of the remaining tobacco. 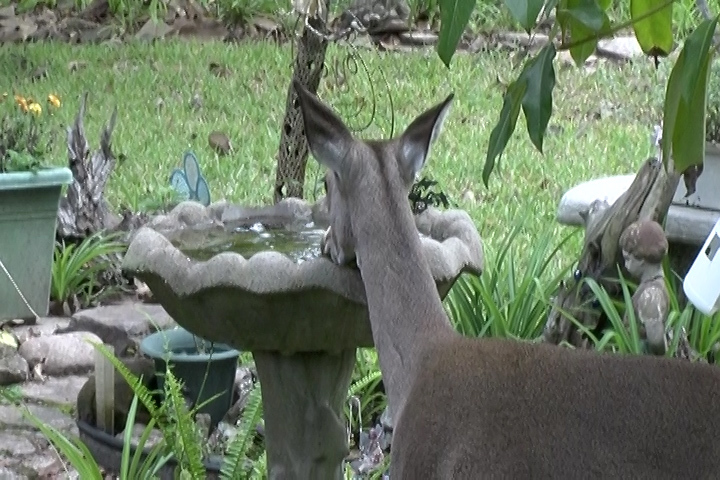 It wandered around the yard, drinking from bird baths, eating Callaway’s plants and nuzzling up to onlookers. A decision was finally made to dart the deer and move it to a suitable location. 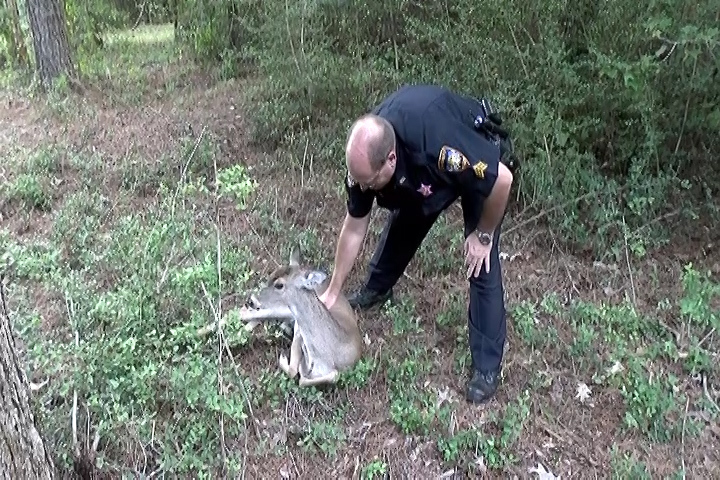 The deer was darted by the Montgomery County Livestock Officer. Within 10-minutes it dozed off. 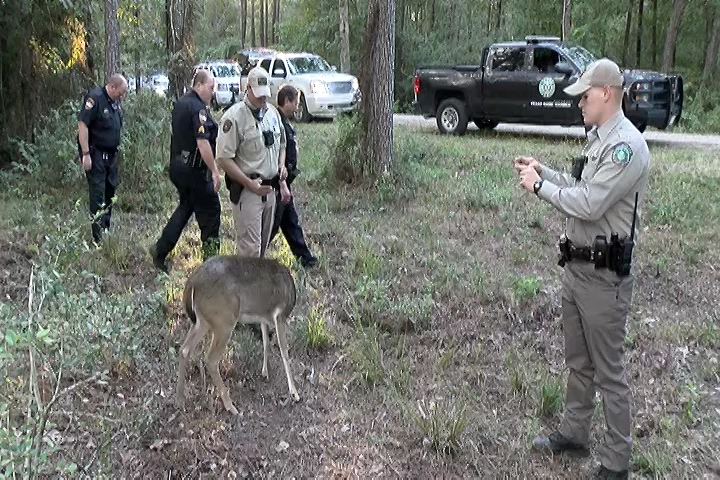 The doe was then loaded in the Game Wardens truck and transported to the Lake Houston State Park. Removing it from the truck they injected a reversal drug and after about 20-minutes the doe stood up. She wasn’t quite sure about her new surroundings and stood to watch a Game Wardens and Deputies drove off as if she was wondering why she was being left behind. 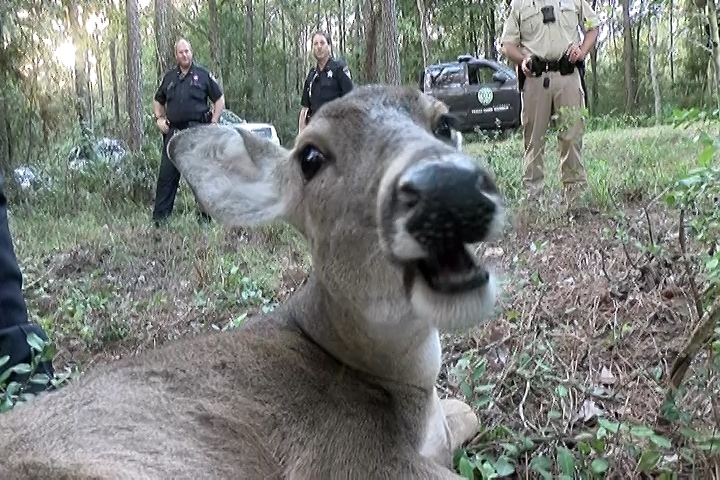 Tyler Zaruba, a Game Warden with Texas Parks and Wildlife feels someone had the deer in captivity and it escaped.